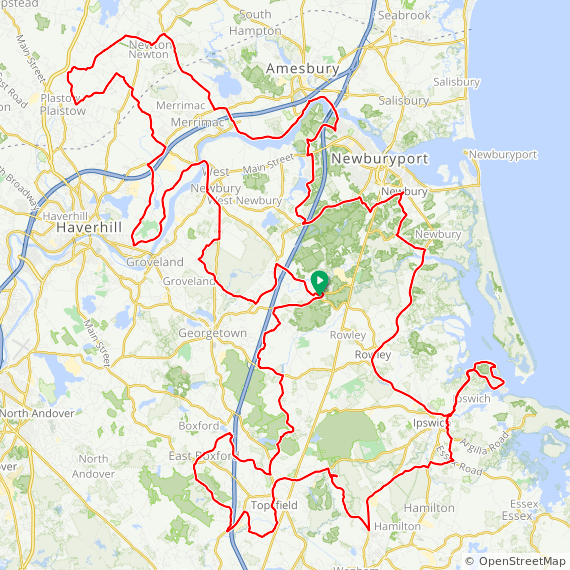 North Shore Cyclists’ Blazing Saddles Century travels through the rural towns of the North Shore and southern New Hampshire past beautiful rivers, lakes, churches, and farms. The terrain includes rolling hills, long sunny flats, and rural roads. Proceeds support North Shore Cyclists and their annual donations to other non-profit organizations.